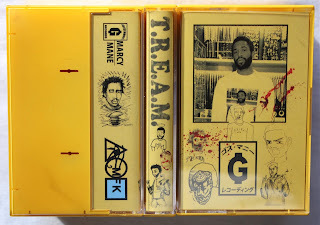 MFK Marcy Mane T.R.E.A.M. limited edition collab tape brought to you by Goth Money Records and Rotifer Cassettes. Manifested in time for Marcy's travels to Tokyo, Japan, 2018. Hand painted cases with red super ferric cassettes. Comes with a Screwboss sticker. Artwork by Marcy Mane.